Interact Marketing commits to nonprofit organizations through discounted service offerings, hours invested in giving back, and cash donations by dedicating 5% of gross revenue to charity. 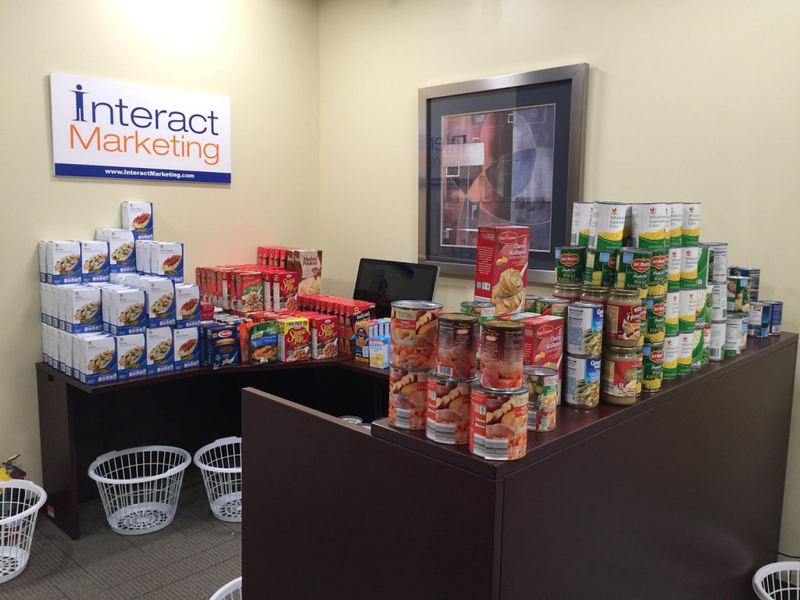 NEW WINDSOR, N.Y. (PRWEB) APRIL 09, 2019 – Leading New York digital marketing agency, Interact Marketing, has increased the company’s charitable contribution of gross revenue to 5% over the past 12 months. Charitable contributions include cash donations, pro-bono services or discounted rates for nonprofit organizations, and volunteer work giving back to the community. The largest piece of giving Interact Marketing engages in is offering nonprofit organizations the same digital marketing services for a fraction of market rates. Through doing this, nonprofits like the Boys and Girls Club, Laurel House, Inc., and the Ovarian Cancer National Alliance have received new websites to support their causes at a reduced rate. In addition to this, Interact has been able to help several organizations secure and maintain a Google Grant. As a certified Google Partner Agency, Interact has expertise in configuring Google ad campaigns in line with strict advertising regulations. The Google Grant program gifts each organization $10,000 in monthly Google ad spend to help support their mission, spread their message, attract volunteers, and reach new donors. Interact Marketing supports employees’ charitable efforts through time spent with organizations of their choice. CEO Joe Beccalori serves on the Advisory Board for the Salvation Army New Jersey Division where he dedicates four days per year on-site. Additionally, all employees are compensated for their time during office hours to participate in an annual Earth Day clean up of the area surrounding the office building where Interact is headquartered. The Hudson Valley Basket Brigade is the charitable effort most recognized in the local community that Interact is involved in. Interact Marketing’s SVP of Client Services, Anthony Church, spearheads this effort each year to ensure families in need have a turkey and side dishes on their Thanksgiving table. Though Interact is not affiliated with the organization in an official capacity, office headquarters are used as a drop off location for food donations and the spot for volunteers to convene before distributing the food. By the end of 2019, Interact Marketing expects to have dedicated $85,000 or more in value via direct charitable contribution, fundraising, service discounts, and volunteering, maintaining the 5% commitment on services revenue.